19/F, AIA Central, 1 Connaught Road C., Central, Hong Kong. With 14 offices centred around the world’s most popular yachting destinations and important financial hubs, including Hong Kong Guangzhou, Shanghai, Fort Lauderdale, Miami, Newport, New York, Palm Beach, Antibes, Geneva, London, Monaco and Palma. 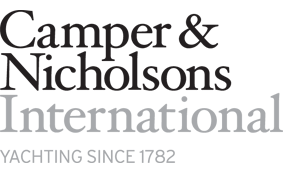 You're never far from Camper & Nicholsons’s expertise.